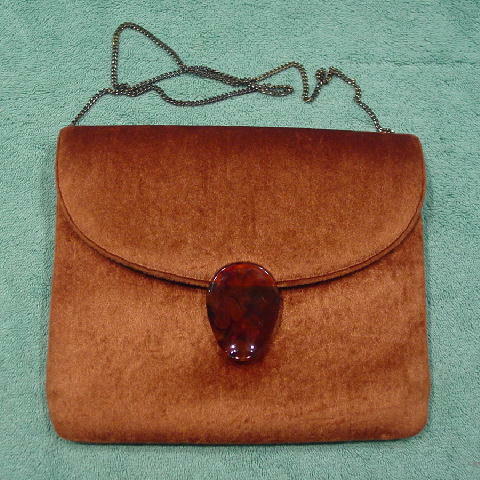 This vintage golden-rust velvety brushed cotton evening purse has a somewhat tarnished 30" long gold-tone shoulder chain which can be tucked inside so you can carry the purse as a clutch. 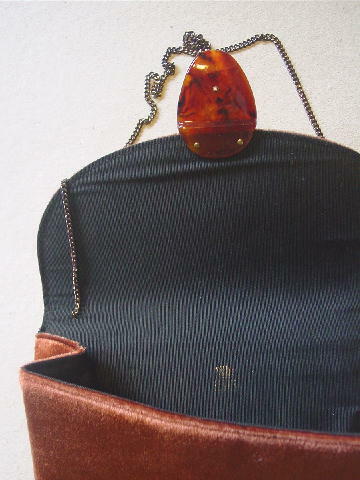 It has an envelope styling with a lucite freeform oval shaped ornament which has a snap closure under it. 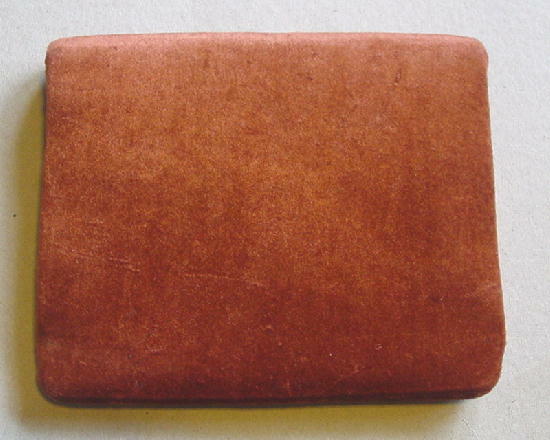 The ornament is in various shades of brown. There is a black grosgrain fabric lining. 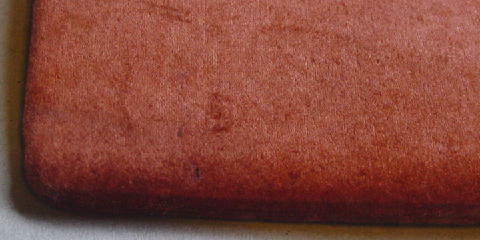 The front and back fabric has some fabric line marks and the lower left back has two darkish areas.